The May 2000 edition of Backpacker magazine included a special section featuring a “laundry list” of the 40 best-recommended spots in the United States National Wilderness Preservation System. 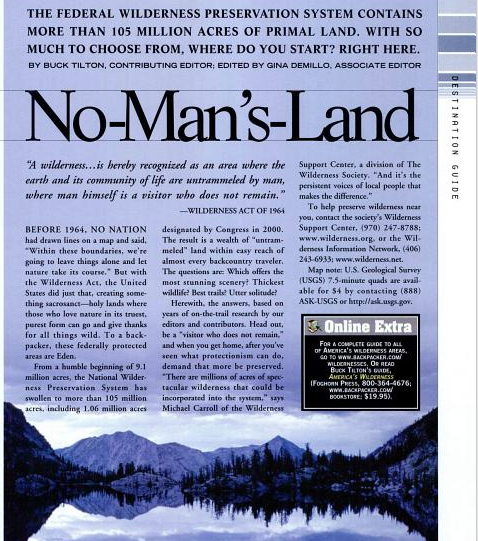 The glossy feature was titled – you guessed it – “No-Man’s Land”. From: Backpacker Magazine, May 2000.